Shop online for 72 lifecolor building supplies at discounts up to 20%. 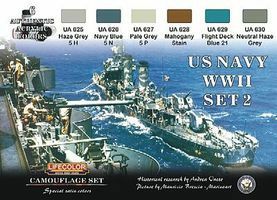 This is the US Navy WWII #1 Camouflage Acrylic Set (6 22ml Bottles) from Lifecolor. 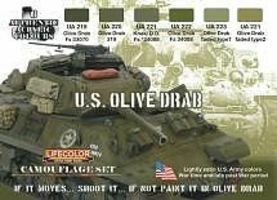 This is the US Olive Drab Camouflage Acrylic Set (6 22ml Bottles) from Lifecolor. 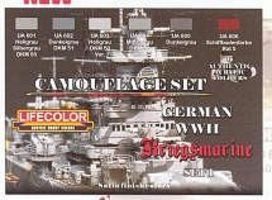 This is the German WWII Kriegsmarine #1 Camouflage Acrylic Set (6 22ml Bottles) from Lifecolor. 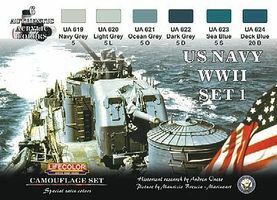 This is the US Navy WWII #2 Camouflage Acrylic Set (6 22ml Bottles) from Lifecolor. 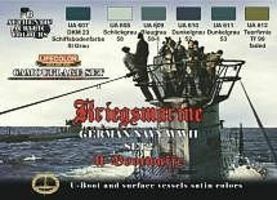 This is the German WWII Kriegsmarine #2 Camouflage Acrylic (6 22ml Bottles) from Lifecolor. This is the Acrylic Thinner (250ml Bottle) (Old #200) from Lifecolor. This is the Matt Black FS37038 Acrylic (22ml Bottle) from Lifecolor. This is the US Army WWII Class A Uniforms #1 Camouflage Acrylic (6 22ml Bottles) from Lifecolor. This is the Guns & Weapons Acrylic Set (6 22ml Bottles) from Lifecolor. This is the Detail Enhancer Tanks & Vehicles Liquid Pigments Set (6 22ml Bottles) from Lifecolor. This is the Royal Navy WWII Western Late War Set #1 Camouflage Acrylic Set (6 22ml Bottles) from Lifecolor. This is the Weathered Wood Diorama Acrylic Set (6 22ml Bottles) from Lifecolor. This is the German WWII Tanks #1 Camouflage Acrylic Set (6 22ml Bottles) from Lifecolor. This is the Italian WWII Fighters #1 Camouflage Acrylic Set (6 22ml Bottles) from Lifecolor. This is the Acrylic Thinner (22ml Bottle) (Old #120) from Lifecolor. This is the Imperial Japan Navy WWII Set #1 Acrylic Set (6 22ml Bottles) from Lifecolor. 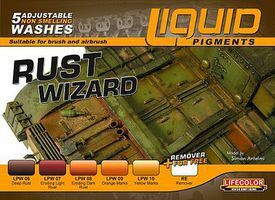 This is the Tracks Painting, Weathering Pigment & Color Acrylic Set (6 22ml Bottles) from Lifecolor. This is the Royal Navy WWII Eastern Early War Set #1 Camouflage Acrylic Set (6 22ml Bottles) from Lifecolor. This is the Black Rubber Shades Acrylic Set (6 22ml Bottles) from Lifecolor.